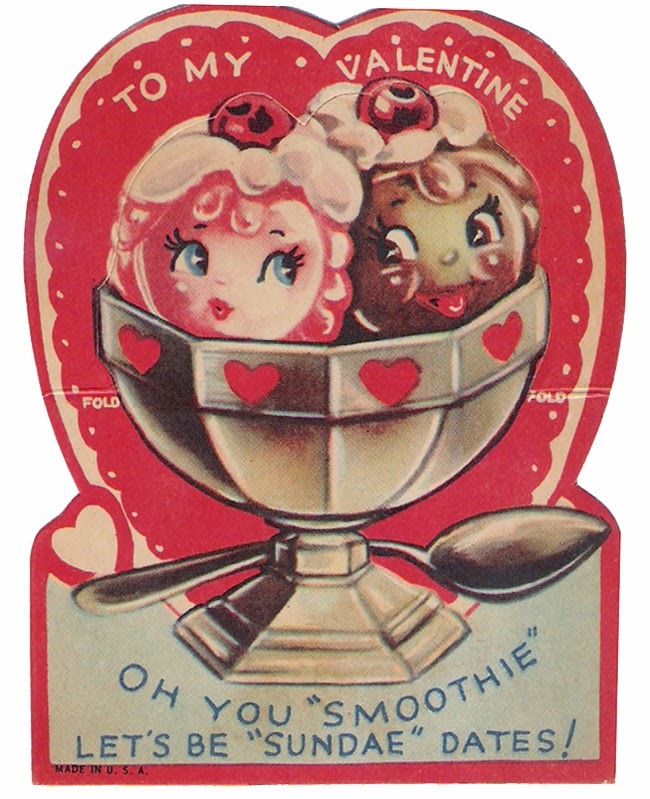 Fancy Fine: happy valentine's day! Happy Valentine's Day, buddies! I am spending mine passing out vintage valentines to my coworkers (I know, the nerdiest) and then camping out inside with my mountain man and a glass of wine while the snow turns to slush outside. I will also be toasting my grandparents, who celebrate their 61st (!) wedding anniversary today. 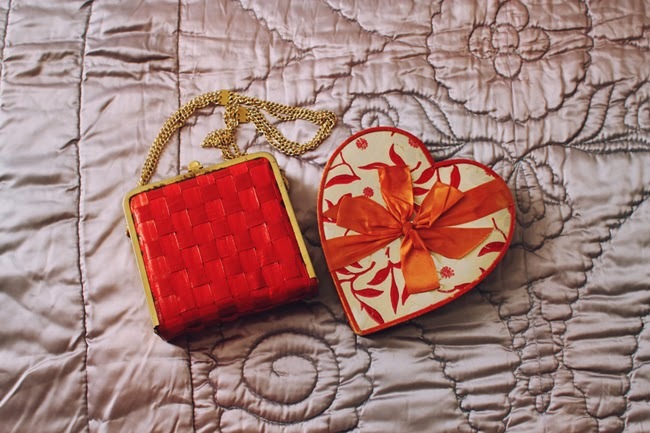 And, because I can't resist a holiday with such an awesome color scheme and motifs, I bought myself a few valentines: the vintage heart shaped chocolate box and red woven box purse in the photo above. What are you doing for Valentine's Day? Happy belated Valentine that purse is just adorable! 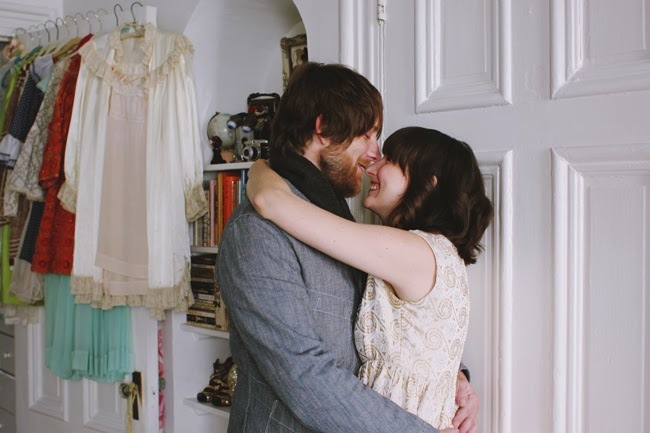 I spent valentines with my best friend who got married on the 15th! that chocolate box is so nice!